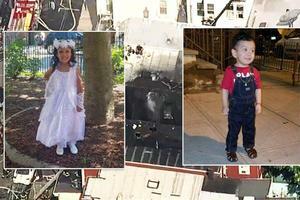 On Friday, July 13th, a devastating five-alarm fire took place on the 400 block of 25th Street in Union City. Sadly, in this fire four children, ages 2, 5, 7 and 13, lost their lives and two more are still in critical condition fighting for theirs. In this disastrous fire, numerous families, most of them with children attending our schools, lost all their belongings. These families are facing plenty of difficulties and are underprivileged. They are struggling for the basic necessities of life. Donations may also be made through the Go Fund Me Account at: https://www.gofundme.com/union-city-fire-victims-fund. Your charitable donations can light a lamp of hope in the dark world of these affected families that not only lost their material belongings, but something that they will never recuperate; these precious children that lost their lives in this horrible and fatal blaze. In advance, we thank you for your support and charitable contributions. Please keep these victims and their families in your prayers!